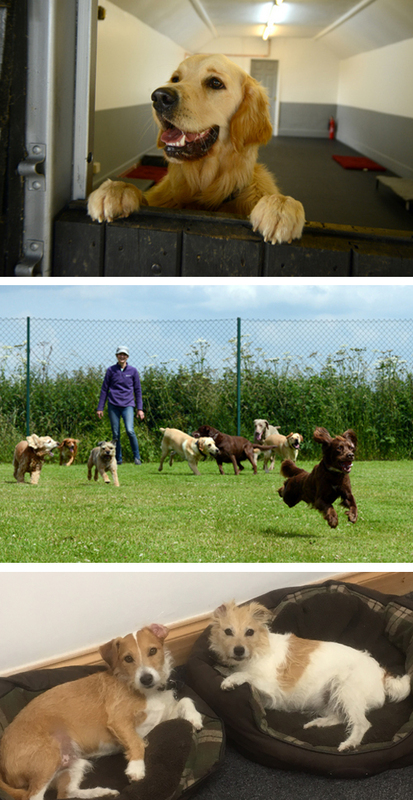 Boarding | The Dog House Daycare, Home Boarding and Daycare near Bury St Edmunds, Newmarket and Haverhill. For those wanting their dogs to stay in a more homely environment we offer some of our smaller daycare rooms. Central heating, specialist rubber flooring and raised beds all add to the homely feel. Also within the building are 9 traditional kennels. These have internal bedrooms with a door leading to an outside run with a view onto the paddock. Again raised beds and wall mounted fan heaters make for a comfortable environment. All the boarding dogs are offered exactly the same facilities and routines as the daycare dogs, including a daily walk, so an assessment would need to be arranged prior to any stay. We take security very seriously at The Dog House Daycare. Our building is fully alarmed with a sensor on every door and window, including the doors on the kennel runs. A laser beam runs across the length of the kennel runs as extra security.